Location, location! Only 3 short blocks from the Beach! Here is your opportunity to enjoy the So. Cal Coastal Lifestyle. This beautiful, fully remodeled Two Level 2 Bedroom, 2.5 Bathroom 1,824 square foot corner lot Home, is just what you've been seeking! Enter into a large, bright living room with fireplace, travertine flooring, recessed lights, surround sound and crown molding. Then the double doors lead onto the lovely front patio with glass railings, giving you the space & ocean breeze to enjoy the indoor, outdoor lifestyle, perfect for entertaining! The large kitchen has granite counter tops, travertine flooring, large farm sink with an island. Large pantry with lots of cabinets, Kitchenaid stainless appliances with wine fridge & a built in desk. The bay window in the dining area lets in lots of sunlight. The double doors connect to a cozy patio, perfect for BBQing. The stair case to the second floor comes with a glass railing and large window. Upstairs, has two large masters w/en-suites and travertine flooring throughout. The front large & bright master comes with 2 French doors and Juliette balconies, ceiling fan & crown molding. Large rear master has walk-in closet, beautiful en-suite w/spa tub, recessed lights, ceiling fan & crown molding and opens to a large deck, perfect for sunbathing. Immaculate 2 car garage. Owner has plans and approval by City to build 3rd Level Master Suite. Near the Ocean, Schools, The City Gym, Dog Beach, Pacific City, Main Street, the Pier, Restaurants & Entertainment. Everything Makes This Pride In Ownership!!!!!!!!!!!!! Here is your opportunity to purchase a two level, Beautiful Harbour Village Townhome! Rarely on the market, this 2 bedroom, 1.5 bathroom, spacious 1054 sq. ft. Townhome with an attached 1 car garage. Located walking distsance to The Huntington Harbor Mall. Enter in the front courtyard where you can enjoy the lovely ocean breeze's. The front door leads you into a large living room/dining room with a cozy fireplace. A half bath downstairs with storage and an upgraded kitchen with stainless steel appliances. Upstairs leads you to, two large bedrooms with a modern remodeled bathroom. The downstairs sliding glass door leads you to another patio, where you enter into your one car garage which also has your laundry hookups. The Seller's Have Shown True Pride Of Ownership Here!!!!!!!!!!!!! Beautiful Prestige pool home w/landscaped front & back yards. Completely permitted & remodeled in 2004. Appoximately 2,100 Square Feet with 3 Bedrooms, 2 Baths Single-Level. Open greatroom & entertainers delight with granite fireplace, gourmet kitchen w/granite counters & granite desk,5 burner Thermador stove, and Dacor double-ovens w/convection. Large Master suite w/huge walkin closet & sliding glass door to pool. Beautiful granite masterbath & oversized guest bth w/granite. Double pane Anderson windows, bullnose corners. Inside laundry w/wash basin. Tropical bkyd w/salt-water pebble tech spa & pool w/beach entry. XL custom garage w/epoxy flooring, workbench, many cabinets and sink. RV pking w/hookups & gate. a nice sized corner lot that has more than 7,700 Square Feet. Dog run, exterior storage and shed. Inside tract location. Located near award winning Springview School, St. Bonaventure Church & School, Chris Carr Park & Central Park. It's also near Shopping & Freeways. You Must See This Showplace It To Appreciate This!!!!!!!!!!!!! Motivated Sellers!!!!!!!!!!!!!!!!!!!!!!! Welcome to the lovely gated community of St. Augustine I, in the prestigious Seacliff area. This beautiful architectually designed 3 Bedroom, 3 Bathroom Two Level Home with travertine flooring throughout, high ceilings, bullnosed archways and windows galore, makes this home light and bright throughout. A master bedroom and office downstairs, large living room with formal dining area, an open kitchen with white cabinets and black granite and family room. The open stairway leads to a large loft with another bedroom and bath. The beautiful back yard has a pebble tech, salt water pool and spa. This house has gorgeous curb appeal with a large driveway that'll take you into a courtyard that looks like an English garden..
You Must See This Beauty To Appreciate It!!!!!!! Fantastic 2 Bedroom, 2 Bathroom Pelican Cove Condo! Don't forget this deal! Absolutely Turnkey; pack your bags and move right into one of the few units with a large upstairs Loft, perfect for an office/den or guest area + additional outdoor Deck. Open Kitchen to Dining Area & Living Room with Vaulted Ceilings, Beautiful Fireplace & Inside Laundry. Both bedrooms are spacious & on main living floor. Main level Patio stretches from Living Room with access from Master Bedroom. Extra large walk-in Storage closet off of upstairs Deck. 2 Gated Subterranean Parking spaces, Association Pool, Spa & Clubhouse. Complex is located just across the street from the new Trader Joe's shopping center in Huntington Harbour with restaurants & shopping. Stuff in this complex is very rarely available so make an offer now!!!!! The Best Bargain In Town Awaits You In One Of The Most Desirable Areas Of Westminster Bordering Fountain Valley And Huntington Beach. This Single Story Home Sits On An Interior Corner Lot Of Approximately 6,500 Square Feet And It Has Awesome Curb Appeal. There Are 3 Bedrooms, 1 And 3/4 Bathrooms With Approximately 1,100 Square Feet Of Clean Living Space. Amenities Include: An Upgraded Kitchen, A Remodeled Master Bathroom, Beautiful Hardwood And Tile Flooring Throughout, Crown Molding, Window Coverings, Lots Of Tropical Landscaping As Well As A 2 Car Garage. Located Near Shopping, Schools, Freeways And More. You Need To Act Quickly On This Charming Showplace Property!!!!! You Can Now Feel The Beautiful Ocean Breeze From This Gorgeous Designer Three Story Home Located In The Desirable Beachside Gated Community. Features Include 3 Bedrooms With An Enclosed Third Level Loft (Which Can Be Converted Back), An Upstairs Bonus Area With Custom Built-Ins, 2 And 3/4 Bathrooms, A Chef's Kitchen Complete With Luxury Stainless Steel Appliances, Beautiful Cabinetry, Granite Countertops, A Double-Oven, A Gas Stove And A Center Island. The Kitchen Leads To A Bright And Airy Famuily Room And Looks Onto The Back Yard With A Custom Swimming Pool, Spa And A Built-In Barbecue. Relax On Your Front Porch Or Enjoy Yourself In The Cozy Living Room. The Spacious Master Suite Comes With A Retreat And A Fireplace. A Large Master Bathroom Has Dual Vanities, A Walk-In Closet And A Convenient Two Car Garage With Direct Access. Your Bonus Is An Upstairs Laundry Room In Addition To Central Air Conditioning. The Custom Window Shutters And Crown Moulding Add Charm To This Residence. The Total Living Space Is Approximately 2.551 Square Feet Witn A 2 Car Garage. This Association Offers A Neighborhood Park And A Barbecue Area. Walk To The Beach And Shops. It Has A Cool Beach Theme!!!!! Stunning Yet Remodeled Describes This Single Story Condo In The Harbor Heights Villas Home Owners Association. It's Rarely On The Market. There Are 2 Bedrooms, 1 Bathroom And Approximately 864 Square Feet Of Living Space. Amenities Of The Very Open Floor Plan Include: A Large Designer Kitchen With Granite Tile Counters, Gorgeous Cabinets And Stainless Steel Appliances. Enjoy The Upgraded Bath That Has A Slate Tile Shower And A Granite Counter. The Beautiful Ceramic Tile Flooring Is In The Living Area And There Is Carpet In The Bedrooms. Enjoy Scraped Ceilings, Recessed Lighting And A Shared Garage. The Serene Complex Has Greenbelts, Swimming Pools And A Clubhouse. You're Going To Love It!!!!! The Property Is 2154 And A 1/2 14th Street, The Peach House, Privately Located Behind 2154 14th Street (Yellow House) And Across From The Alley. It's A Neat Two Story Home With 4 Bedrooms, 2.75 Bathrooms And Approximately 1,352 Square Feet Of Nice Living Space. One Bedroom And A Bathroom Are On The First Story. Enjoy A Stunning Kitchen With Cabinets Galore, Tons Of Drawers And Drawers. The Dining Area Is Off Of The Kitchen And It Leads To A Bright Living Room With Expensive Pergo Flooring. You'll Even Get A Rear Yard With Patio Access To The Detached Garage. In Addition You Have A Very Private Area For Kids Or Dogs To Play In. Best Of All You Are Near Everything From Shopping, Schools, Parks To All That This Charming City Has To Offer. Now This Shows Quite Well!!!!! It's A Turnkey Two Story Townhome Just Minutes From The Beach And Huntington Harbour. There Are 2 Bedrooms, 1 Bathroom And Approximately 830 Square Feet Of Living Space. The Kitchen Is Upgraded And It Leads To The Living Room. Upgrades Include: Granite Counters, Newer Cabinetry, Stainless Steel Appliances, An Elegant Mirrored Dining Area Off Of The Kitchen, A Beautiful Travertine Style Flooring In The Kitchen, Dining Room And Bathroom, Dual-Paned Vinyl Windows, Recessed Lighting, Scraped Ceilings And Neutral Paint Throughout. Enjoy Your Shared 2-Car Garage With Storage Cabinets And Relax On The Patio With A Barbecue Area. Best Of All There Is An Association Swimming Pool, Clubhouse, Boat And Recreational Vehicle Parking Is Available And The Homeowner's Fees Are Only $210 Dollars Per Month. This Is The Nicest Property In This Price Range That I Have Seen!!!!! This Could Be Your Very Own Custom Brand New Remodeled Single Story Family Home In South Huntington Beach For Less Than $1,00,000! This Property Is Under Construction. You Can Purchase It Early And Pick Your Own Colors, Flooring, Etcetra. It Is A Beautiful 3 Bedroom, 2 Bathroom Complete Remodel With Approximately 2,000 Square Feet Of Living Space. The Walls Have Just Been Installed And The Kitchen Cabinetry Has Just Been Ordered. Everything Else, The Buyer Can Choose If Purchased Early. The Home Sits On A Corner Lot Of Approximately 6,400 Square Feet. There Is Even A 2 Car Attached Garage. Located In The Landmark Neighborhood With A Great School District For The Children. Enjoy Those Cool Ocean Breezes!!! You Can Now Feel The Ocean Breeze From This Lovely 2 Bedroom, 1 Bathroom Harbor Heights Villas Condo Near Huntington Harbour. This Unit Is One Level And It's Above The Garage With No Neighbors. Wonderful Amenities Include: A Shared One Car Garage, Newer Carpet, Paint And Window Blinds. It Shows Light And Bright As Well. This Is Part Of The Homeowners Association So You Have Access To Greenbelts And Lovely Grounds. Steps To The Clubhouse And A Swimming Pool. Recreational Vehicle And Boat Parking Are Available In The Rear Of The Complex. Just Minutes To The Wetlands And The Beach. It's A Great Starter Condo For A Buy Me Price!!!!! "Gorgeous Tuscany-Style Home!!! Completely rebuilt 4 bedroom, 2 bath, 2,400 square feet on a 6,700 square foot corner lot. The tropical garden takes you into this meticulously detailed home including a formal living room with cathedral ceilings and custom fireplace. The spectacular greatroom boasts a family room with custom fireplace, stone flooring, an entertainer's kitchen with beautiful granite counter tops, tumbled travertine backsplash, custom cabinets with pull out shelving in pantry and oil-rubbed hardware, stainless appliances including a double drawer dishwasher and dining area. French doors open to the relaxing patio/yard area with stamped concrete and seamless rain gutters. Separate interior laundry room with storage cabinets. Extra large bedrooms with walk-in closets, complete with built-in closet organizers. Custom master bath with travertine/stone, master shower with beautiful stone detailing, dual shower heads and convenient tiled seat. Entire home is pre-wired for Cat 5 with a central networking system and data drops in every room, with recessed lighting, speakers, crown molding, and upgraded baseboards throughout. This home is truly spectacular with attention paid to every detail, located in a desirable family neighborhood in South Huntington Beach." Just See It Once And You'll Want To Make Your Offer!!!! STAR REAL ESTATE AT SEACLIFF SOLD!!!!! Beautiful Is The Word That Best Describes This 3 Bedroom, 2 Bathroom Single Story Cul-De-Sac Home In A Great Family Neighborhood. There Is Approximately 1,459 Square Feet Of Living Space In This Property And It Sits On A Nice Sized Lot Of Approximately 7,200 Square Feet. Wonderful Amenities Include: Travertine Flooring Throughout With A Nice, Clean Open Kitchen That Has Stainless Steel Appliances. You Also Get Vinyl Windows, Scraped Ceilings, Recessed Lighting And Upgraded Baseboards Throughout. The Gas Fireplace Is In The Living Room. This Residence Also Offers Tropical Landscaping. The Secondary Bedroom Has Wheelchair Accessibility Into The Bathroom Through The Closet. You Even Get A 2 Car Attached Garage. Your Bonus Is A Great School District And Your Near Shopping As Well As Freeways. Pride Of Ownership Is Truly Evident Here!!!! STAR REAL ESTATE AT SEACLIFF SOLD!!!! Have You Been Looking For A Beautifully Upgraded Single Story Home In The Old Goldenwest Estates Neighborhood? Here It Is. This Is A 3 Bedroom, 2 Remodeled Bathroom House That Has Approximately 1,279 Square Feet Of Living Space And It Sits On A Large Lot Of Approximately 6,000 Square Feet. This Property Is Turnkey All The Way With Upgrades Galore. Amenities Include: A Remodeled Kitchen With Granite Tile Counters, A Master Bathroom With Travertine Flooring And Marble Countertops As Well As A New Roof, Double Paned Windows And French Doors. There's Also Fresh Interior And Exterior Paint With Crown Molding Throughout. The Beautiful Hardscape And Landscaping In The Front And Rear Yards Looks Great. Relax In The Above-Ground Jacuzzi Tub. You'll Feel Secure With An Alarm System. This Residence Has Central Air Conditioning And It Is Wired For Surround Sound. Centrally Located Near Schools, Shopping, Freeways The Beach And More!! The Finish Of Escrow Date Is To Be After January 1st, 2006! Gorgeous Is The Word That Best Describes This 2 Bedroom With A Loft Condo In The Beautiful Guard Gated Seabridge Community. Situated In A Great Location Overlooking The Serene Waterfall And A Bubbling Brook From The Large Eat-In Kitchen, Deck And Spacious Living Room Which Has A Gas Fireplace And Cathedral Ceilings. The Spacious Master Suite Comes With Mirrored Wardrobe Doors. The Loft/Office Has Been Completely Finished With Pergo Flooring. There Are New Appliances In The Kitchen, New Window Coverings Throughout, Satellite Dish Wired Throughout And A Spacious 1 Car Garage. There Are Also A Total Of 2 Bathrooms And Approximately 1,364 Square Feet Of Living Space. Truly A Pleasurable Showplace Property!!!! 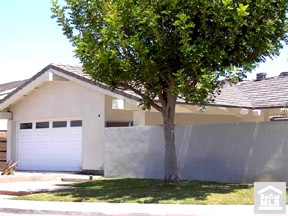 Here Is A Spacious Single Story Pool Home In Super North East Altadena. Featuring 4 Bedrooms, 2 Bathrooms and Approximately 1,824 Square Feet of Living Space. The Lot Size is Approximately 8,245 Square Feet. This Property is Going to Be Freshly Painted Inside and Outside. There's a Fireplace in the Living Room, a Spacious Kitchen with an Inside Laundry Room and a Long Driveway with a Two Car Detached Garage!! "The Prestigious Vineyards Of Foothill Ranch." This is a Beautiful Two Story Townhome with 2 Master Bedrooms, 2.5 Bathrooms and Approximately 1,046 Square Feet of Living Space. Situated in an Inside Location with a Private Hardscaped Courtyard with a Fish Pond. Amenities Include: Pergo Flooring in the Living Room and Dining Area with High Ceilings and a Ceiling Fan. There's a Spacious Kitchen with Mexican Pavers and White Tile Counters. Enjoy a Direct Access 2 Car Garage that You can get to through the Kitchen. Also Included is: Upstairs Laundry and Plantation Shutters Throughout. Mesmerize Yourself with The Mountain View From The Rear Bedroom Deck. This Serene Complex Has a Community Swimming Pool and a Spa. Reasonably Priced For An Immediate Sale!! STAR REAL ESTATE AT SEACLIFF SOLD!! Meadowlark Golf Course Living At It's Finest in This Sensational Home in the Best Location of the Tract where You Have No Dues or Association Fees and You're on the 14th Green with Views of the 15th Tee and the 17th Green. There are 2 Bedrooms, 3 Bathrooms and Approximately 2,274 Square Feet of Living Space Per the Tax Assessor. Both Bedrooms are Master Suites. Amenities include a Formal Living Room, a Formal Dining Room, a Family Room and a Private Side Yard with a Spa!! Close to Churches, Schools, Shopping, Dining, Beaches and Parks! !